PRS S2 Hollow Body Single Cut Electric Guitar Antique White The PRS S2 series of guitars hosts a range of reimagined classic guitar shapes t.. The PRS S2 series of guitars hosts a range of reimagined classic guitar shapes that look incredible straight out of the box or even covered in the scars picked up on a cross-country tour. They've been developed as a premium-grade "in-between" choice for PRS Enthusiasts that are looking for something a little different from the norm, but without breaking the bank. In this case we have a PRS S2 Single-Cutaway guitar with a semi-hollow body in an Antique White finish. 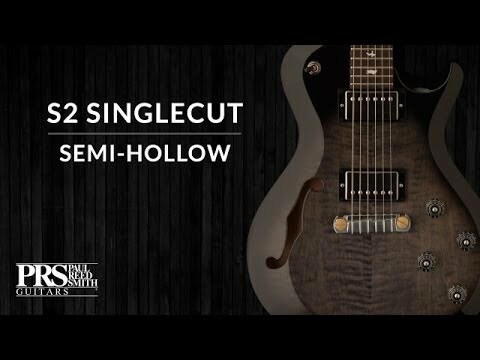 When it comes to PRS guitars, such as with the S2 series, you know that the price is going to reflect the quality you're paying for. However, here at PMT we have a range of finance options available for you to choose from (including 0% interest) to help you spread the payments out over several months, and to let you purchase that special guitar you've always wanted. If you have any queries regarding our payment options, please contact our sales team directly on 0151 448 2080.